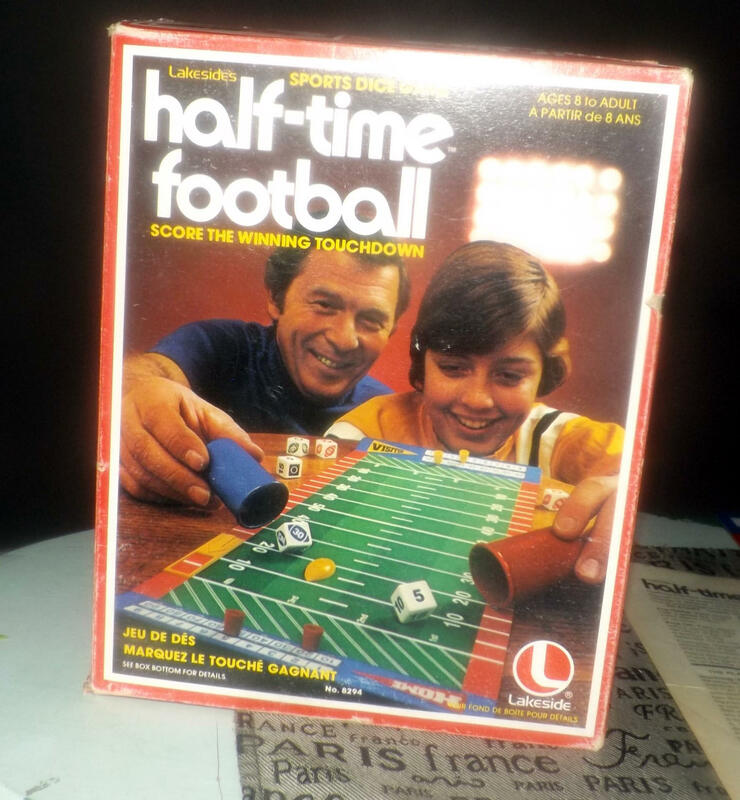 Vintage (1979) First edition Half-Time Football board game published by Lakeside Games | Leisure Dynamics as game 8294. Complete. 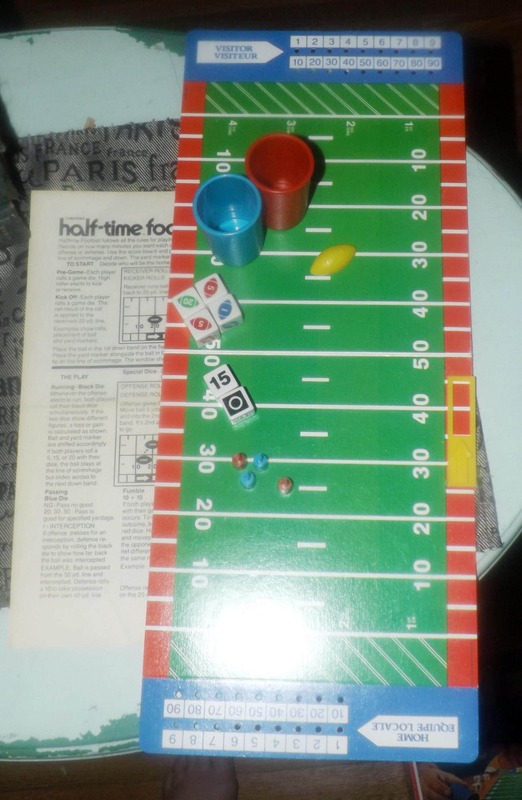 Vintage (1979) 1st edition Half-Time Football board game published by Lakeside Games | Leisure Dynamics as game 8294. This is the Canadian bilingual (English | French) version of the game with box text and instructions printed in both official languages. 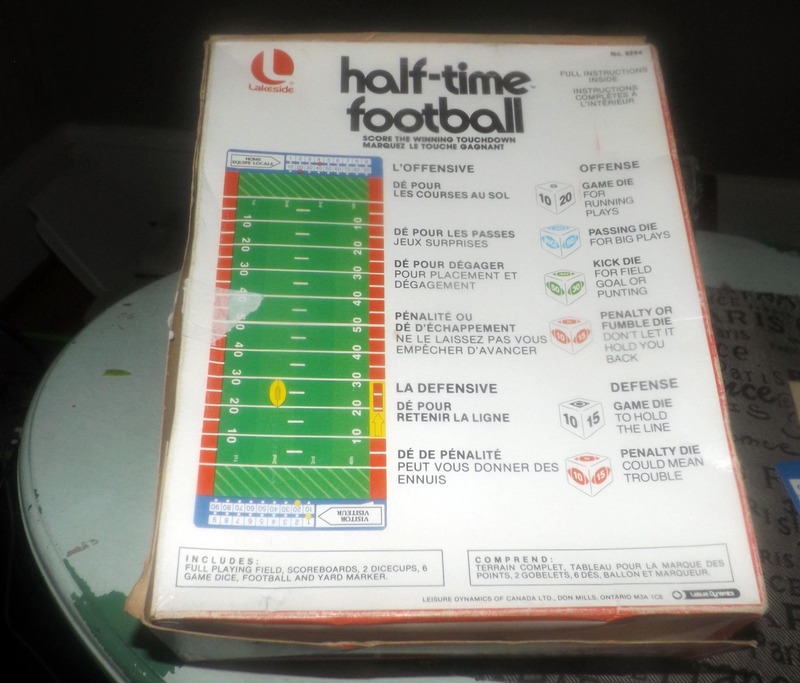 THIS GAME HAS BEEN INVENTORIED AND IS 100% COMPLETE WITH THE ORIGINAL INSTRUCTION SHEET (ENGLISH AND FRENCH). 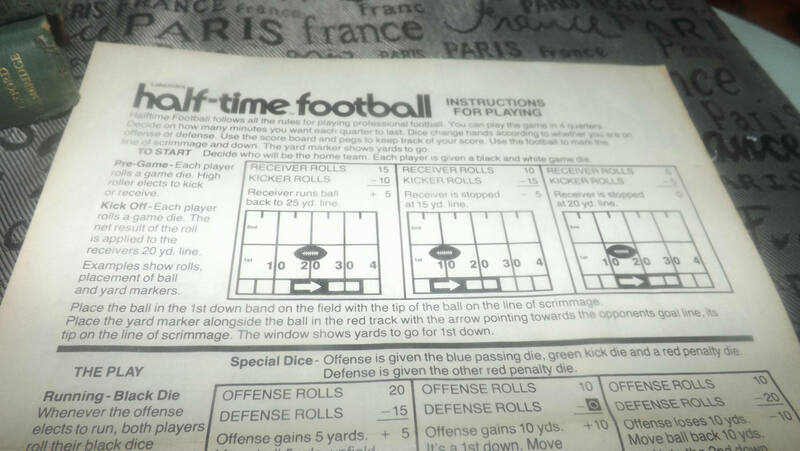 Game overview (gameboardgeek.com): Half-Time Football follows all the rules for playing professional football. You can play the game in four quarters. Decide on how many minutes you want each quarter to last. Dice change hands according to whether you are on offense or defense. Use the score board and pegs to keep track of your score. Use the football to mark the line of scrimmage and the down. Game condition: Game board and pieces are in EXCELLENT! condition. 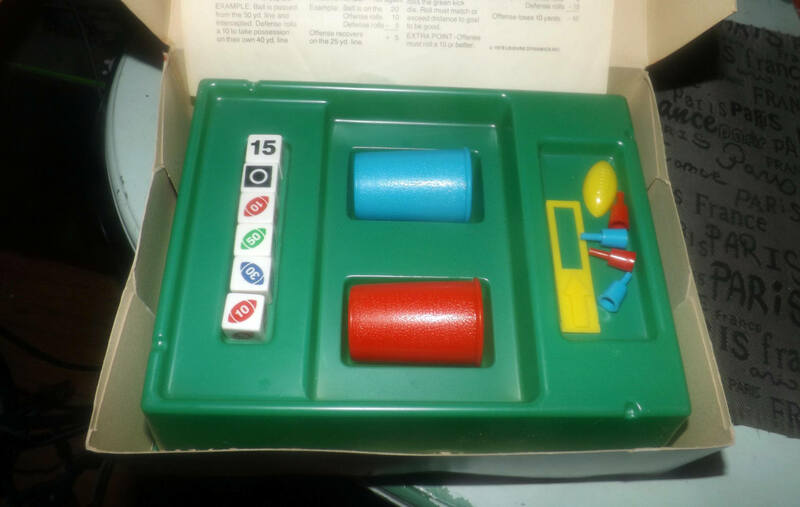 Game board graphics are clear and bright. NO! breaks to the plastic parts. Plastic box insert in good and unbroken condition. Rules sheet is clear and legible. 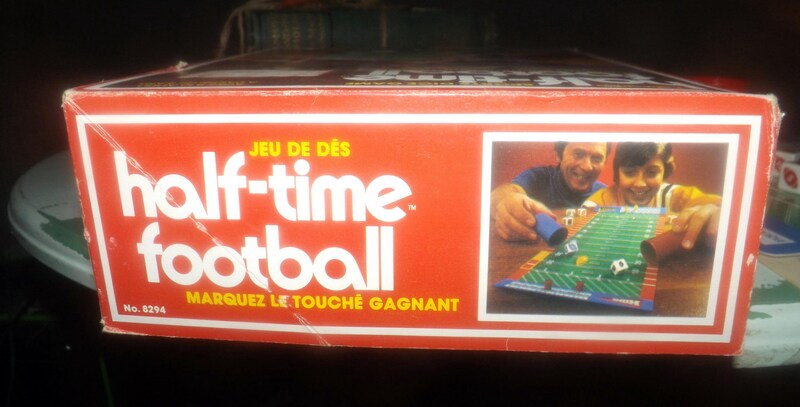 Game box shows shelf wear with rub to box corners and splits to the sides of the box lid. There is tape residue to the side panels of the box. Game box text is clear and legible, graphics are bright and vivid.